It’s a glorious time to be alive for fans of station wagons here in the US. Not just any wagons mind you, but good looking wagons with plenty of oomph to both haul cargo and haul arse. 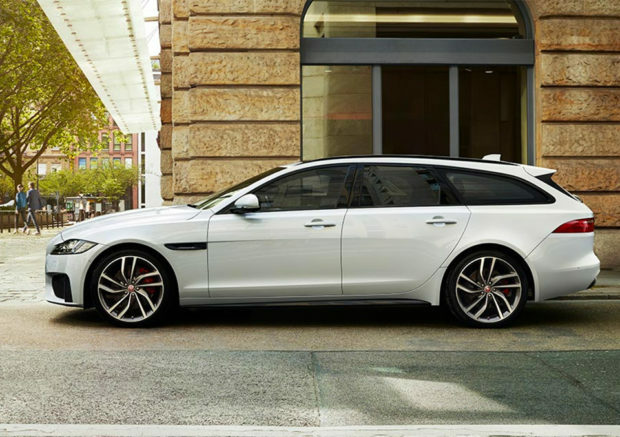 The latest wagon comes courtesy of Jaguar and marks the first time that the XF Sportbrake has been offered here in America. The car looks fantastic and has lots of room for people and gear inside. Power comes from a 380 hp supercharged V6 paired with a ZF 8-speed transmission and standard all-wheel drive. The Sportbrake S promises to scoot from 0-60 mph in 5.3 seconds. 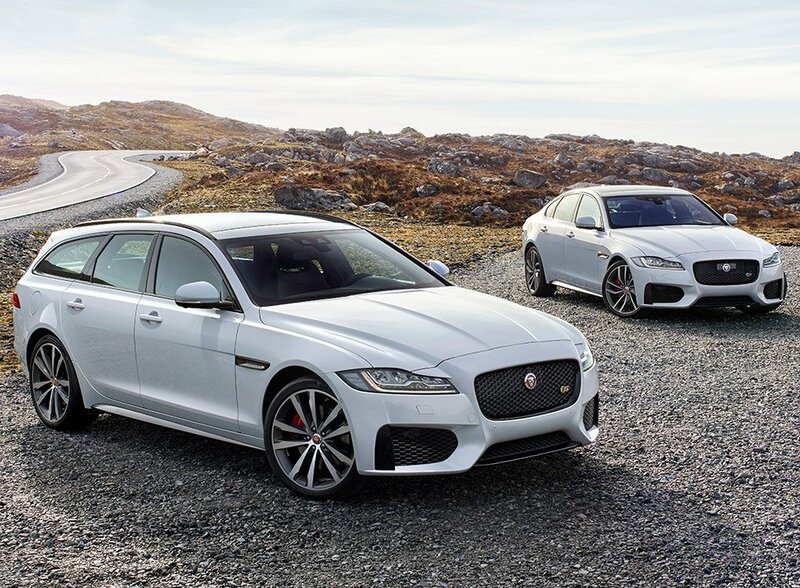 Jaguar says the aluminum-intensive car achieves a near-perfect 50/50 weight balance too, which should make it stable and flat when cornering, one of the big advantages of a wagon to a taller vehicle like an SUV. The 40:20:40 split folding rear seat can lay down flat, and gives you up to 69.7 cubic feet of cargo room. With the seats up, cargo space is still an impressive 31.7 cubic feet. Plus, the car has a self-leveling rear integral-link air suspension for a smooth, controlled ride no matter what you cram in the back. If you want to breathe clean air, Jag has an optional cabin air ionizer to remove pollutants. One of the coolest features is a panoramic sunroof with a gesture controlled shade. The only downside I see is the price, with the XF Sportbrake S starting at $70,450(USD), and the fully-loaded XF Sportbrake First Edition will set you back $72,100.